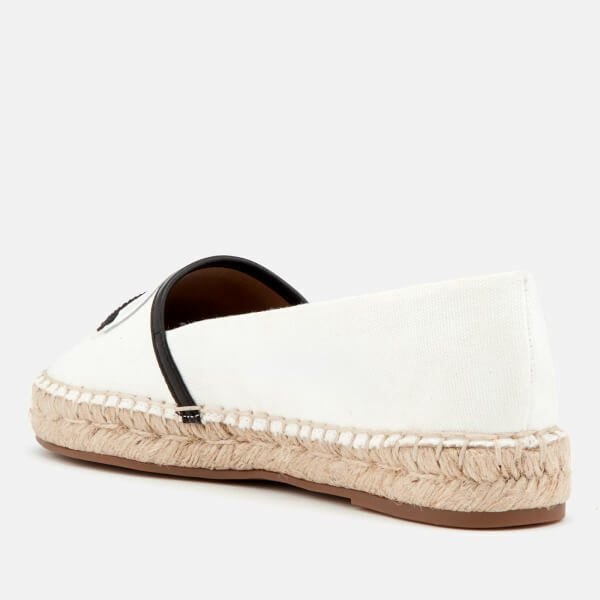 Women’s white slip-on espadrilles by Karl Lagerfeld’s Ikonik collection. 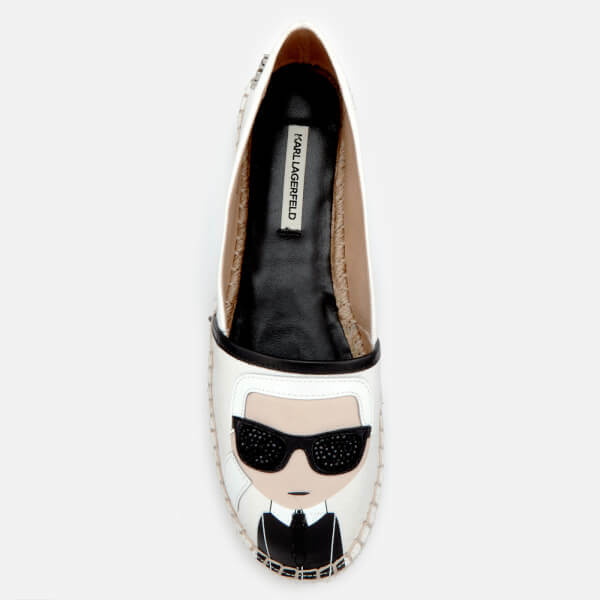 Adorned with the brand’s iconic cartoon Karl donning sparkling, rhinestone-encrusted shades, the ‘Kamini’ shoes are crafted with canvas uppers and natural jute midsoles with rubber overlays for grip. Punctuated with contrast leather piping, the shoes are complete with a silver-tone metal Karl logo to the outer heel. Upper: Textile/Leather. Midsole: Jute. Outsole: Rubber.